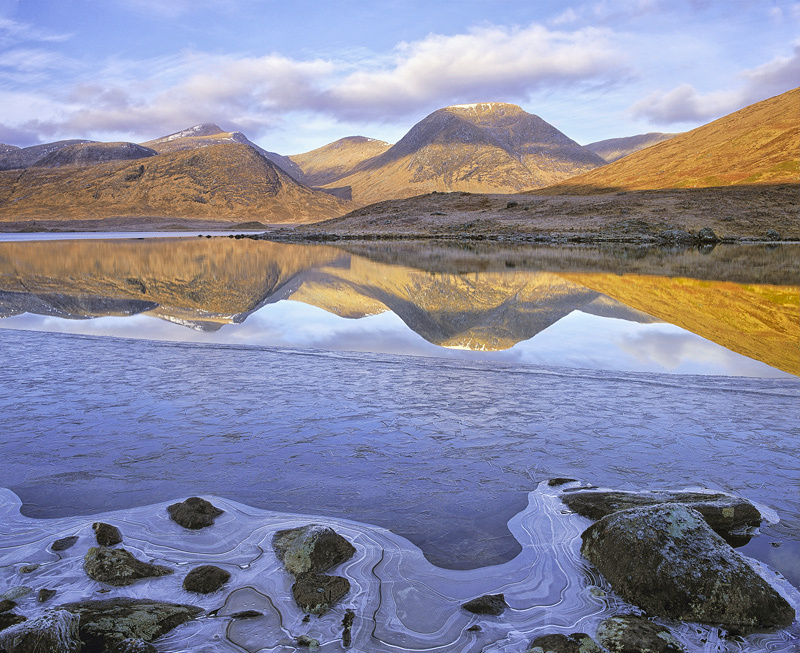 There are many places in Scotland that would adequately fit the title of this picture but none with such definite certainty as this location in remote Loch Dochard. It is a fairly substantial walk to get to this place involving numerous decidedly dodgy river crossings, bridges being in an assorted state of entropy. I camped overnight and woke to this chill and totally silent dawn in the knowledge that I wouldn't see another sole for the rest of the day.